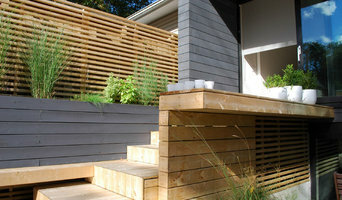 Canoe Developments is your #1 source for any building project you are looking to undertake. Experience our unique ability to not only build the project but advise you along the process of what and how it should be built. We look to create the VALUE before the BUDGET and believe that’s no different than designing before you build. If your buying a new home but don’t quite like that old kitchen or 1970’s animal print carpet make sure you check out our Purchase Plus Financing options to get the house you always wanted in the area you love. BelVan Construction is operated by Les Yochim and Chris Sterling. We’re a licensed/insured custom home builder and renovation company servicing Edmonton and surrounding areas. As with building a new home, renovations can be a logistical and mental challenging process for you and your family. There are a significant number of decisions to be made throughout the construction process, so it is our responsibility as your builder to listen to and understand your needs and guide you through the process. Hello and welcome to North Pointe Homes. We are a residential builder specializing in mid to high-end infill in mature neighbourhoods. We believe in transparency and honesty, and not sacrificing quality in the interest of saving a couple dollars. Our homes are built to last! With over 75 years of construction experience on our team, building single family and duplex housing in mature neighbourhoods as well as large custom homes in new developments, we know what the city comes to expect from home builders. If you’re looking for a dependable builder with integrity and a quality home built with excellence, you’ve come to the right place! Get in touch with us today to see how we can help you build the home of your dreams! 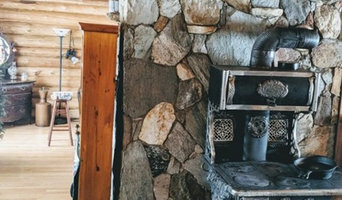 Edmonton's Leading Renovation Experts | Best of Houzz 2017 & 2018! Coogee Construction is a general contracting business specializing in commercial & residential renovations. They're clean, professional employees working in tandem with their extensive network of top quality, licensed subcontractors, are dedicated to the highest level of customer satisfaction. 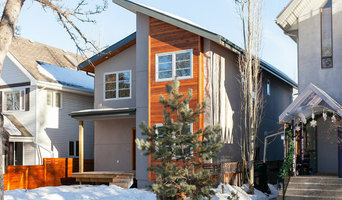 Coogee Construction was established in 1994 in Edmonton, Alberta. Since their inception, they have been Licensed and Insured in accordance with City of Edmonton bylaws. They are a member of the Renovator’s Council with the Edmonton Region Home Builder’s Association and have special training in Energy Efficient Renovations through the National Energy Conservation Association. Triarc Developments Inc. was founded in the summer of 2000 by local Edmontonian, Matthew Huculak. Triarc began specializing in 100-year-old-home renovations. Their focus was maintaining the old esthetics, wood work and charm while revitalizing and updating the homes to present-day construction codes. In the fall of 2005, the company ventured into the new home market, building from the ground up. After two years of new home construction, Triarc returned to their roots and solely concentrated on old and existing home renovations. 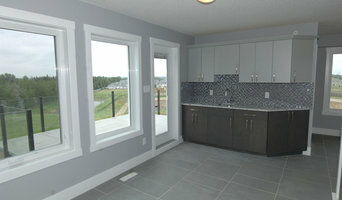 Black Briar Contracting Ltd. is Edmonton's driving force in residential and commercial custom renovations. Our team of talented tradesmen approach each project with a "think outside the box work-ethic"; always delivering top-quality. We take pride in providing cost-effective innovative renovation solutions, which catch the eye but ultimately do not break the bank. We are licensed with the City of Edmonton, bonded, WCB and insured. 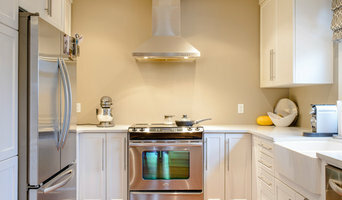 We are a small Edmonton company with over 20 years construction/renovation experience. From consulting, to designing, to completion, no job is ever too big or too small. Services include interior and exterior renovations or development, from framing to finishing. Providing quality workmanship, we take pride in all our work and offer reasonable prices. Archer Rinds Property is a fully insured, registered company and we provide references and examples of our projects. Contractor specializing in commercial and residential renovations. Flexible scheduling and excellent pricing. With over 30 years experience we can offer home owners a wide variety of granite options and ensure every job is done great craftsmanship. We handle your job from start to finish. Templating, Cutting, Edging and Installation are all handled by employees of Canadian Building Solutions. Many Edmonton granite companies can’t offer you the same service from start to finish. At Canadian Building Solutions we pride ourselves on offering the highest quality of service and we appreciate any feedback in this department. We let our service, selection and quality speak for itself and believe that your referrals are our best advertising. MSL Projects & Design Inc.